Gallagher Bassett (GB) is pleased to announce the release of myGB Poster Designer, an online tool that helps employers promote health and safety in their workplace using dozens of customisable posters. myGB Poster Designer is a free online tool which allows employers to run targeted health and safety campaigns in their workplace. This is achieved through customising posters covering many of the most important health and safety challenges organisations face. Drew Spilsbury, General Manager - Marketing and Communications, who lead the development of the new tool, said GB is excited about the power Poster Designer will give organisations to more easily run their own health and safety campaigns. “As a TPA, GB’s focus is on delivering custom claims management solutions that suit the unique requirements of our individual clients, rather than taking a one-size-fits-all approach. 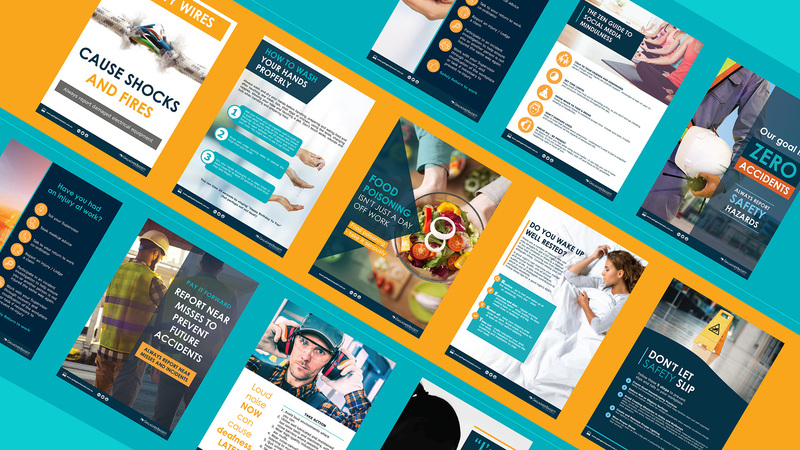 Poster Designer’s customisable posters address many of the most important health and safety topics currently facing the industry, such as mental health, accident prevention, self care, injury management and maintaining a safety culture. Updated on a monthly basis, myGB Poster Designer will launch new posters and content, developed by GB’s team of health and safety experts. What’s more, it also allows any user to submit new topics and request new posters! “Whilst our internal experts have developed some fantastic content, GB also recognises the amazing passion and expertise of our clients and the broader health and safety industry. To take advantage of this free service, employers need only visit www.gallagherbassett.com.au/ohs-posters, select a poster and then upload their logo and text to customise it for use in their workplace. It’s as simple as that!